OFF Market – This luxury 4* Palace hotel has a fantastic location very close to the German border, international clientele already and with a great expansion potential !! It is beautifully situated complex Palace and park-farm. Intimate Baroque Palace surrounded by an old park with few and far between historic old trees. The palace was built in the years 1790-1795. The Palace park area consists of almost 11 hectares,upon which multiple residential buildings and renovated farm buildings from the eighteenth and nineteenth centuries are situated. In 2007 year the current owner, acquires the ruined Palace. In the following year acquires adjacent buildings and begins a 5 year, very difficult and detailed renovation in collaboration with the best specialists from the renovation of historic buildings in Poland as well as from Europe (Italy, France and Germany). Refurbished property wins multiple awards for the implementation of the project at the highest level and with the representation of all the historical details of the property. In 2011 he property received a 4 stars hotel rating, thus the property relishes a great interest of German visitors, also due to location close proximity with Germany border, located near the existing network of highways and airports. The property is based only 220 km from Berlin, 240 km from Prague/ Czech Republic and 140 km to Wroclaw airport. The Palace has been recognized as a consecutive victor of many local & International. The complex surface of the Palace is 5914 m2consisting of 47 comfortable rooms for about 120 guests. Each room is different, depending on its nature. Specification of hotel rooms is as follows: 11 apartments in the Palace building, 36 rooms located in different buildings (outbuildings). There is a sophisticated playroom for children – 400m2 opened in 2018, 2 professional bowling tracks built in 2018, a room in the basement with the possibility of use on, i.e. a cigar-room. Library as well as up-to-date kitchens are located in the basement of the main building, 4 separate halls in the lobby are used as a restaurant. The separate SPA Wellness building is 1.159 m2 of usable space including a pool housing building - 238m2, pool length is 15,5m; the pool is equipped with water jets, swim jets and bikes as well as treadmills to exercise in the water. Banquet Hall building - usable area is 877 m2. The building is adjacent to a dance hall with sectional wooden floors -150 m2 usable space. 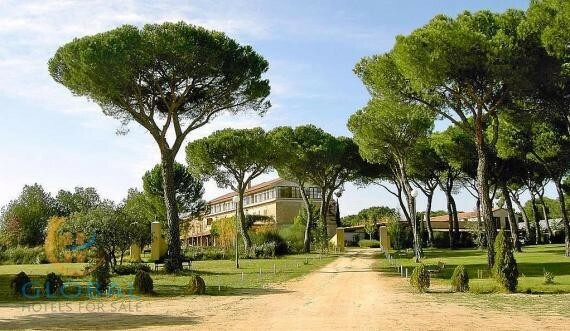 There are many conference rooms, wedding hall - 300 m2 and a storage room, air-conditioned throughout, two stylish cellars dedicated for wine tasting, renovated wine cellar - 120m2. There is also a mansion - Tuscan Villa; usable area: 330 m2; residential building currently serving as owner’s residency, consisting of five bedrooms, two bathrooms, and a large kitchen. Vineyard; usable area: 0.9h- 3600 seedlings in the process of acquiring an ecological certificate (red variety Rondo, Regent, Cabernet-Cortis, whit Johanniter and Solaris). Golf Driving Range with a length of 250 meters. Outside swimming pond with a sandy beach, a pier, canoe and pedal boat as well as fish stock. Owner also leases from the local municipality the former airport runway which measures 900m in length and 23m width. We are in the course of obtaining a permit for recreational and private use of this runaway only. This airport is located 300m from the edge of the estate. Additionally 24/7 private heliport was opened on the plot of the property in 2017. The entire property is fenced in. Option to park more than 100 cars and several coaches. The business brings the profits from the day 1 after opening, the average rooms’ booking exceeds 73% . 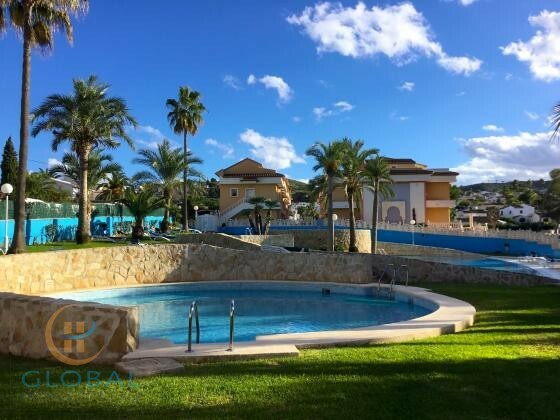 The complex is a good investment, it can be easily transformed into a 5 star hotel, a private villa property or a Summer village luxury estate for the new owner. Medical Clinic investments / possibility for private small airport / expansion of the hotel with 40 rooms. Full info on request. Note: In Poland there is 23 % VAT on the sale, but deductible.